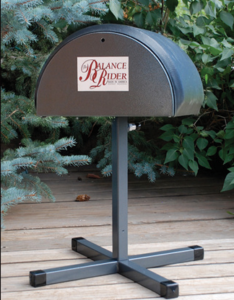 The Balance Rider helps you improve core strength and seated balance, increasing comfort and confidence for both the horse and the rider. Heidi specializes in the use of Bitless Bridles and offers evaluation sessions to see if going “bitless” might be the answer to your troubles. If your horse tosses his head, chomps on the bit, braces against your hands, gets his tongue over the bit, or offers you resistance in the bridle he may be a candidate. Heidi recommends ruling out pain by having a vet, chiropractor, and equine dentist evaluate your horse as the first step in problem solving. 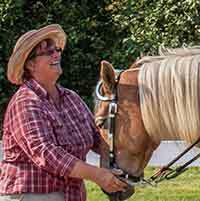 Cathy Drumm is one of the country’s first and premier Western Dressage instructors. Cathy travels extensively to promote and spread the word about this wonderful new discipline. Check Heidi’s Event Schedule for clinics she will be co-teaching with Cathy Drumm. Centered Riding® was developed by founder Sally Swift as a way of connecting the mind, center and body in riding. It is based on philosophies learned in the Martial Arts and the Alexander Technique. Use of the CR basics helps all riders to use their bodies correctly and more effectively. Horses respond by becoming more responsive, better balanced and more relaxed, allowing them to perform with greater freedom of movement. The techniques of Centered Riding can be applied to any discipline, and will improve your overall comfort, confidence and communication with your horse. CHA’s mission is to promote excellence in safety and education for the benefit of the entire horse industry. This is accomplished by certifying instructors, accrediting equine facilities and publishing educational resources. The Green Mountain Horse Association is a 501 (c)(3) non-profit organization that provides and maintains opportunities for educational and competitive activities for diverse equestrian disciplines. Emphasis is placed on equestrian trails preservation, horsemanship and youth education. We love the Hay Chix Free Up Feeder and use these at our farm. The nets support slow feeding and reduce wasted hay. The Hay Chix team is fantastic to work with – they offer super customer service. Use the link below to get 20% off. The work of Sharon Wilsie, friend, mentor, founder and author of the book Horse Speak will forever change the way you interact with horses. Join Sharon and I as we bring you a new clinic series titled, Creating Harmony with Horse Speak. Keep an eye on our websites to stay informed of dates and venues. Situated in the beautiful foothills of New York’s grand Adirondack mountains, offering comfy and private cabins and campsites on the Otter Creek Horse Trails. This fun sport promotes improved partnerships, confidence and good communication between humans and horses. The goal is to eventually perform with the horse at liberty. Through their On Line Horse Agility events you can compete by downloading the monthly obstacle course and sending in a video of your performance. We give our horses Bor-L-Immune throughout the tick season and are very happy with the results. 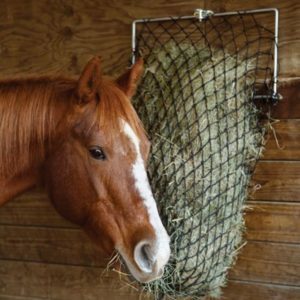 Colic is the number one cause of death in horses. We all know that catching and treating it early can make the difference and help increase the chances of survival. I was introduced to the “SayWhoa” (previously known as StopColic) product a few years ago at a CHA International Conference at the Kentucky Horse Park. I visited the booth, learned about the product, listened to testimonials and decided it was worth the investment. Over the last few years I have successfully used this all natural product on multiple occasions, as have many of my clients. 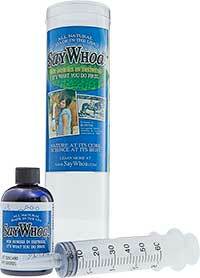 SayWhoa has a 5-year shelf life and is unaffected by the varying temperatures in an unheated barn. I keep a bottle in my barn and in my horse trailer. SayWhoa is available for purchase via my website, my facility and at most of my events. 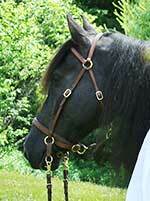 Learn more at Horse Sense Solutions and let’s increase our odds of successful colic outcomes! Dr Jeannine Berger is a pet behavior specialist and is board-certified by the American College of Veterinary Behaviorists. 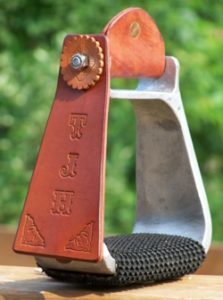 A good looking western stirrup that greatly reduces your chance of getting your foot caught in your stirrup in the event you fall or are thrown from your horse. These Western Safety Stirrups are designed, manufactured and assembled in the USA using American materials and labor.